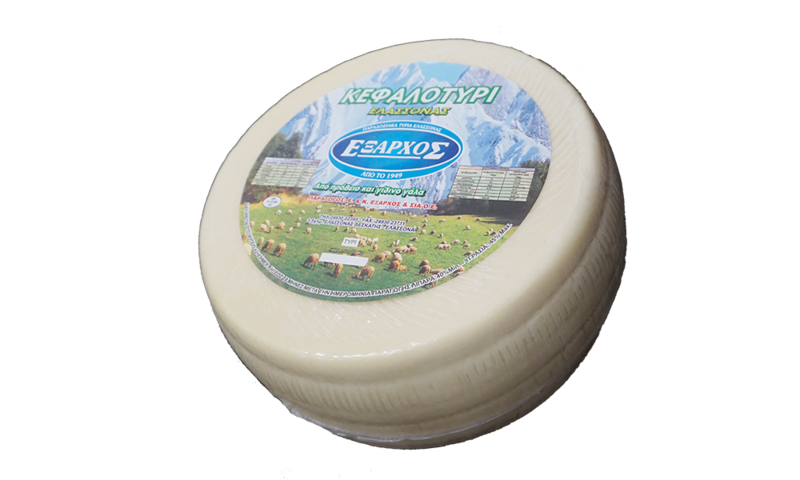 Kefalotyri of Elassona EXARHOS is a traditional hard cheese made from sheep’s and goat’s pasteurized milk and ripening for 4 months. 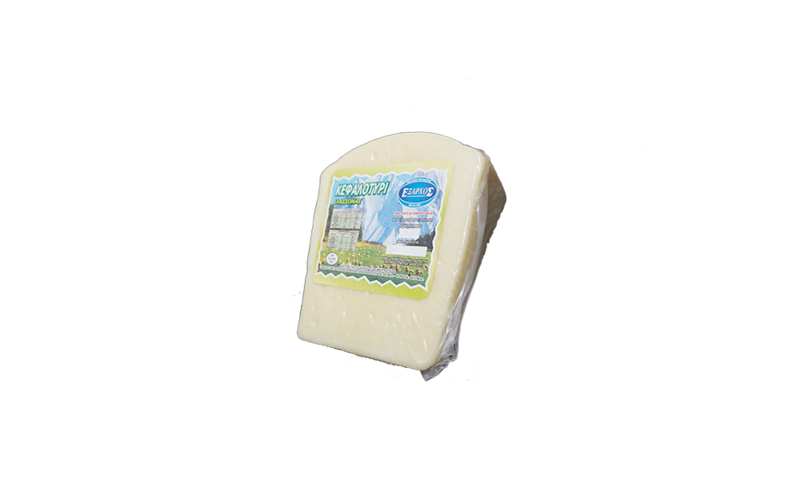 It has a rich aroma and its taste is salty and spicy. 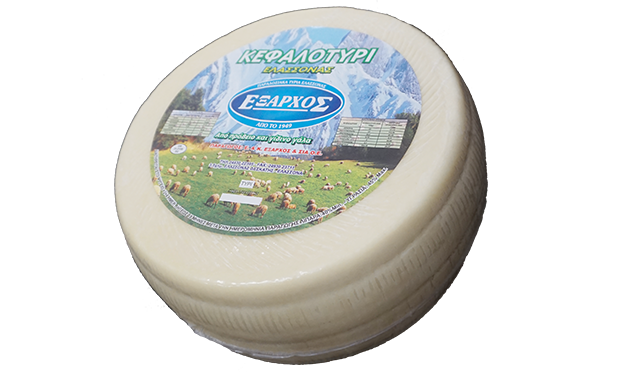 Kefalotyri of Elassona EXARHOS is packaged in airtight packages to keep the flavor and aroma unchanged. 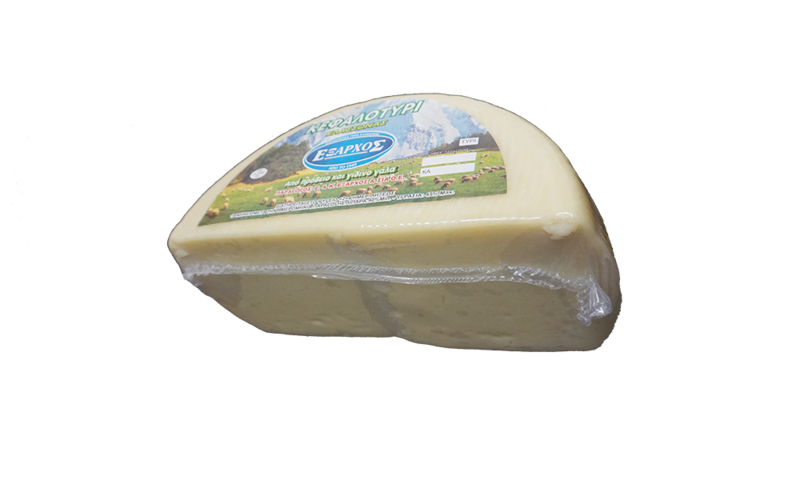 Vacuum Plastic Vacuum Packaging is a standardization form for Kefalotyri EXARHOS in packs of different weight. Having the trade name printed on the packaging, the consumer is confident of the choice made for both quality and quantity. Get to know us! Try our Products! Trust us! 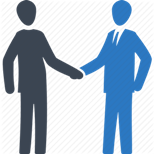 Fill the contact form and our team will get in touch with you.